We are so excited to share the great news! Our All Saints school community will celebrate Eucharistic Adoration immediately following our school Mass, the first Wednesday of each month when school is in session. We will process to McSherry Hall following Mass to begin Adoration. 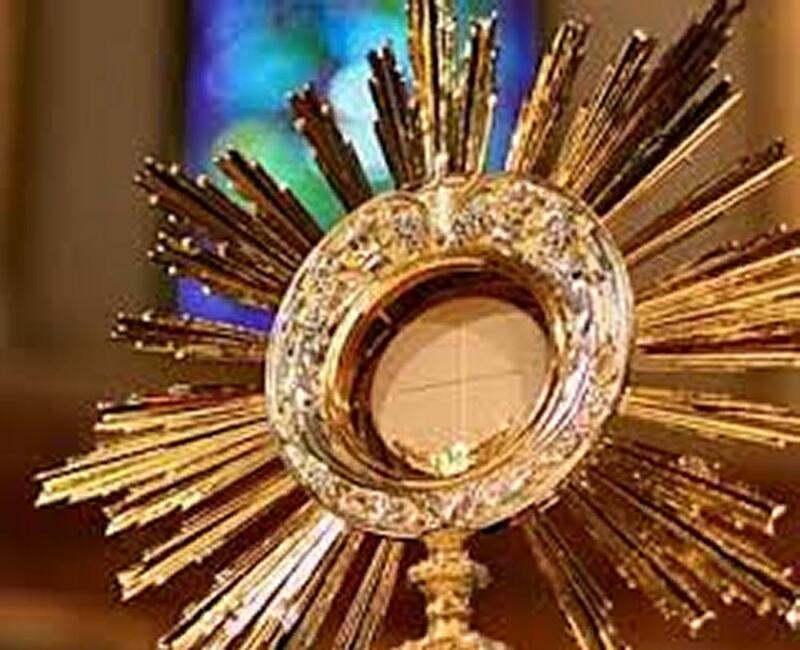 Adoration in McSherry will take place from after Mass until noon. At noon, our Lord will be processed to the Chapel, and Adoration will continue in the Chapel until 3 pm. All ASCA families, students, and staff are welcome to join us. For parents and families, a sign-up sheet will be located at the Welcome Desk. We would appreciate people signing up to be certain that we have the entire day covered. Times will be one hour slots from 9-3. Please enter through Door #1 and get a badge prior to Adoration. Thank you, and God bless. If you have any questions, please contact Christi Kluzak at dkluzak@comcast.net.